C.S. 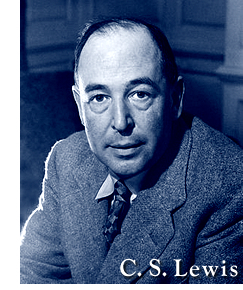 Lewis’ book the Problem of Pain is probably the best philosophical and theological answer of the 20th century to the question of how a God of love can allow terrible pain. Just the same, when he went through his worst agony over the death of his wife, Joy, described in A Grief Observed, he was honest enough to admit that his answers in the Problem of Pain didn’t help him at all! He still started thinking, “Maybe there is no God? or God is a sadist!” What finally brought him through was giving up trying to figure it out and just letting God reasssure him on an experiential level. Just now I have 3 close friends going through unbearable agony for different reasons – one is circumstances where he cannot protect a child from an abusive father. The other is watching a beloved wife suffering physical and emotional pain no amount of medicine can remove. When I do that, usually the situation that I find unbearable doesn’t change, but I feel God’s personal love for me enough to make it bearable after all. Rudolf Otto, a Protestant theologian of the 20th century in his famous book The Idea of the Holy points out in his commentary on the Book of Job that the answers God gives Job are not that different from what the false friends said! What brings Job around is that is the experience of God’s Holy Presence.